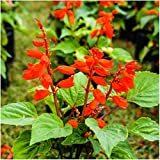 Salvia coccinea growing herbaceous of the genus Salvia also known as Scarlet sage, Salvia coccinea perennial evergreen but can grow as annual used as ornamental plant, can grow in tropics, mediterranean, subtropics or temperate climate and growing in hardiness zone 7+. Leaves color green in ovate to elliptic shape. 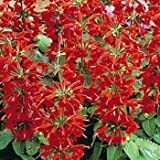 Flower color can be: red, white or orange, flowers grow on stalk in inflorescence. 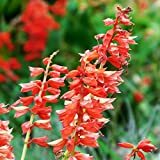 Red flowers but also can be orange or white, flowers grow on stalk in inflorescence.